Still nothing I'm interested in getting. I have Metroid from the Ambassador program. I might have been interested in Link To The Past, but I'd rather have gotten it on the 3DS too. Having to get my Wii together to play it whenever I want is actually a hassle at this point. Dillion sounds a lot like a game idea I had though, which makes me sad. It seems like it'd be a bit too grindy for my tastes from the trailer. Cubello looks meh. I think they should reduce the coin costs on these though. 100 for older/less popular titles, and 150 for stuff like Dillion, seems better to me. It's important to keep in mind that 100 coins is equal to about $100 spent in Nintendo products. Not including game systems, which are worth oddly less despite being the only one making sure you bought it. Registering a Wii U, for example, wouldn't even get you Dillion. Well, its not like you buy them to get these bonus games. They are supposed to be extra rewards for buying Nintendo products you'd hopefully bought regardless. I have tons of coins from things, and its nice to get a extra little prize with my coins. 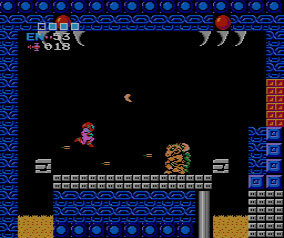 Awww, I was hoping to have A Link to the Past on my 3DS but oh well, Metroid it is. Is the original Metroid still playable if you have Super Metroid available instead? I have a lot of coins too. But I still have them since there's nothing really great that I want to get. I pointed out the issues with the games. And the rest of the prizes are just kinda... meh. For lowering the 'price' of the games, rewarding people with the game costs Nintendo nothing but theoretical money. They're digital downloads anyways. It's nice that they've available. But I think they're overcosted when you can buy their new system that they're trying to get more people to buy and still not be able to afford the only good non-port they're offering. Oh looks like I finally get to use my coins for my Club Nintendo account. Seriously, I've got a like 1,000 coins and have no use for them. Mainly that's because the Club Nintendo prizes in the NA region are no where near as good as the ones in Japan or in Europe.